Despite costing almost THB 600,000 the Toyota Yaris is everywhere. Despite unspectacular sales volumes, the Yaris has demonstrated that the Jazz was not a fluke, and that there clearly is a market for small hatchbacks on Thai roads. Elsewhere the Nissan Tiida is a sluggish seller, but here again it is the hatchback variant that you see more often. The Ford Focus and Mazda 3 hatchback models are also the more popular choice. In Europe hatchbacks are easily the most popular choice. The sedan is old school by now, and simply doesn't offer the practicality you can enjoy from a hatch. To put it bluntly, the Eco-Car project and the idea of small cars in general is not likely to appeal to the rich. If you read reviews of small cars here in Thailand, (if you can find such a review in the first place) then you'll notice a snobbish approach to the whole exercise. You'd be forgiven for thinking that all motor journalists are overpaid, out-of-touch with the real world, and don't know how to be objective. This snobbishness seems to feed a very harsh criticism of the Eco-Car project, and frankly, nobody is asking any Merc-driving, I-just-got-back-from-Geneva-where-I-drove-every-supercar-on-the-planet bragging, this-car-runs-smoothly-even-at-twice-the-legal-limit dimwit, types of motor journalists to give up their big luxurious cars in favour of a small and cheap to run car. What I am asking them to do now is to start considering that there are other people in the world who might not want, need, or be able to afford the luxuries that you feel are necessary. 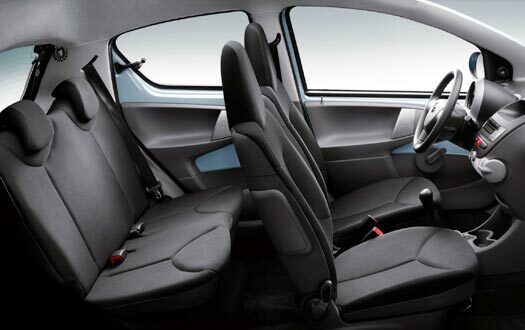 The Aygo would be a car for the ordinary person, with a need for a cheap car. People who are not likely to look at the Aygo in the showroom and say "well, it's okay but it doesn't have a voice activated entertainment system and vibrating seats so I'll just go and spend THB 5 million on a car that does." They are going to be people who see its THB 350,000 price tag, its 22km/l fuel economy and its practical dimensions for navigating city traffic, and say "I'll take two!" Okay, this one mirrors point 2 in some ways, but only because golf and wealth seem to go together. Now I am not against wealth, or golf, but if you don't have one, or play the other, then the Aygo might be just right for you. The golf clubs that you don't have wouldn't have fitted into the boot of the Aygo anyway, so this is a perfect stroke (yes, I know) of luck. Seriously, some people base their car purchase decisions on practical need, rather that perceived need. For these people, assuming that they don't also play golf, a car like the Aygo might be a good urban transport option. The infamous Jeremy Clarkson, back when he was somewhat mortal, reviewed a Ford Fiesta. I think it was probably towards the end of the 90's and the concept of environmental awareness was somewhat in its infancy. Still, Clarkson liked the Fiesta, and part of his wrap-up included words to the effect of: "Nobody really needs a bigger car than this." At the time I though, good on you. But of course, Clarkson doesn't drive a Fiesta. 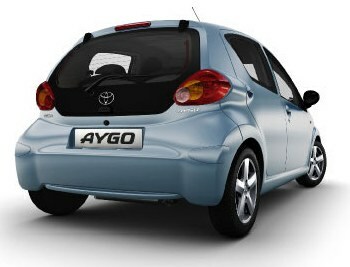 Anyway, the point remains, if we are honest about our realistic needs, then an Aygo might realistically fit them. Want to know why pickup trucks are so popular in Thailand? Nope, it is not because they are practical, or cool, or safe, or cheap-to-run, or fast, or easy-to-part, or have spacious interiors, or refined engines, or even because they are diesel. Actually the real reason why there are so many pickup trucks on the roads is because they are bought to do a job. The vast majority of pickup trucks on the roads in Thailand are "working" trucks. The market for passenger trucks is actually quite small by comparison, and here the main reason for the popularity is the volume-to-THB ratio. Basically you look at the machine, and you calculate how much each square cm of the machine costs and buy the cheapest vehicle. At THB 600,000 the Yaris has a hard job demonstrating value against a mighty Vigo at the same price. Of course it isn't as simple as I'm saying, but if the Aygo was THB 350,000, the value for money should be obviously apparent. I wanted to say "5. It looks great" for this one, but I'm a man, and society has managed to dog us with a concept of macho to the extent that we find it hard to take ourselves seriously driving around in anything that doesn't look like it could traverse Mt. Everest. Girls, on the other-hand, like "cute", and the Aygo is that. The Jazz and Yaris, I would argue, have been more popular with the female population. The Aygo should prove even more appealing, and perhaps even a few blokes might have enough self-confidence to settle for a cute car that meets their transport requirements, rather than going for something that provides a brutally obvious indication that there was a lack of love somewhere along the way. When I think of the Eco-Car project, I am still not sure if the "Eco" part relates to the concept of cheapness and fuel economy, or that of environmental and ecological responsibility. But it matters not in reality because the two go hand in hand. Using less fuel is good for the environment, and being good for the environment has always resulted in financial savings in my experience. The trend shows that fuel prices only go in one direction: up! The less you use, the less of an impact on your finances it will be when the price goes up next time. The 1.0 liter 3-pot petrol engine in the Aygo can achieve 22km/l or 24km/l for the 1.4 D-4D oil-burner. 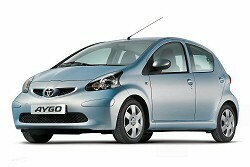 Okay, that's all very well, but Toyota aren't selling the Aygo in Thailand. Currently Toyota, and most other manufacturers are playing a very wise game of wait-and-see while the Thai government sort out the "deal" for the Eco-Car tax rates. In the meantime we can't realistically expect to see the Aygo in Thailand. Even after the Eco-Car rates are finalised, it is possible that the Aygo would still be a non-runner, and Toyota might just stick a 1.0 liter engine in the Yaris (this configuration is available in Europe) to take advantage of the new rates. Regardless, lets try and open our minds to the idea of small, fuel efficient and cost-efficitive cars. And before you start saying "but it's not safe", consider that with a 4-star rating in the Euro-NCAP. Sooner or later we will mature enough, and start to make decisions based on real needs. A big car will be a symbol of ignorance and greed rather than one of position in society and good taste. Next time you really need to buy a car, make the decision to find your joy elsewhere, and buy an economical car that will allow you to do that more effectively.